The ASEBA approach originated in the 1960s with Dr. Achenbach’s efforts to develop a more differentiated picture of child and adolescent psychopathology than was provided by the prevailing diagnostic system. At that time, the American Psychiatric Association’s Diagnostic & Statistical Manual (DSM) provided only two categories for childhood disorders. These were Adjustment Reaction of Childhood and Schizophrenic Reaction, Childhood Type. 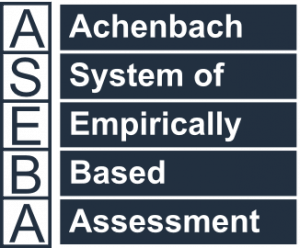 The Achenbach System of Empirically Based Assessment (ASEBA): Development, Findings, Theory, and Applications by Dr. Achenbach illuminates and integrates decades of work related to the ASEBA. Starting with the ASEBA’s origins in the 1960s, it highlights major milestones in the ASEBA’s conceptual, methodological, and theoretical development. It also elucidates applications of the ASEBA to practical assessment, training, and research. The first scientific report of ASEBA findings was presented at the Society for Research in Child Development (Achenbach, 1965), and the first scientific publication was a monograph in the American Psychological Association’s Psychological Monographs series (Achenbach, 1966). Read about later developments, recent advances, and multicultural research with the ASEBA. Rating problems reported for large samples of children, adolescents, and adults. Performing multivariate statistical analyses of correlations among the ratings to identify syndromes of problems that tend to co-occur. Using ratings of skills and involvement in activities, social relations, school, and work to assess competencies and adaptive functioning. Constructing profiles of scales on which to display individuals’ scores in relation to norms for their age, gender, and relevant societies.